The lecture is organised by the Postcolonial Studies Initiative (PCI) hosted by the Centre for the Humanities and jointly organised with the Gender Studies Programme at Utrecht University. In this lecture Prof. Dr. Bishnupriya Ghosh will revisit Mother Teresa as Corporeal Aperture. 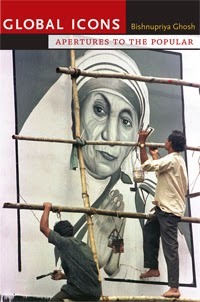 The customary critique of Mother Teresa reads her image as a compromised mass commodity, the anointed saint who habitually produces the “third world” as her necessary gutter. While it is certainly the case that global icons of her ilk lure consumers into commodity fetishism, isolating them from social relations, we see these recursive images routinely deployed in challenges to hegemonic institutions all over the world; reassembled culturally familiar icons surface in the new negotiations over global modernity, often making the news when they instigate outbreaks of iconophobia or iconomania. These iconoclashes suggest there is more to the story of mass stupefaction told in the iconoclastic critique. What better way to think beyond this promissory skepticism than to relocate the scholarly gaze to a global region replete with rich cultural histories of icon veneration? Mother Teresa, then, provides an exemplary instance of a general social phenomena: the periodic outbreaks of anger, grief, even riots, around highly visible public figures (a Lady Diana, a Barack Obama, or an Eva Perón) circulating as icons in mass media. Looking closely at her eruption as popular saint in Kolkata, the talk argues for a reconstituted theory of the icon properly attentive to the mass commodity’s sudden volatilization into a magical technology of the popular. With a doctorate from Northwestern University, Bishnupriya Ghosh is Professor of English at the University of California, Santa Barbara, where she acts as chair of the department and teaches postcolonial theory and global media studies. 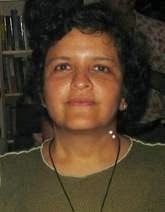 Much of her scholarly work interrogates the relations between the global and the postcolonial; area studies and transnational cultural studies; popular, mass, and elite cultures. While publishing essays on literary, cinematic, and visual culture in several collections and journals such as boundary 2, Journal of Postcolonial Studies, Public Culture and Screen, in her first two books, Ghosh focused on contemporary elite and popular cultures of globalization. When Borne Across: Literary Cosmopolitics in the Contemporary Indian Novel (Rutgers UP, 2004) addressed the dialectical relations between emerging global markets and literatures reflexively marked as “postcolonial,” and Global Icons: Apertures to the Popular (Duke UP, 2011) turned to visual popular culture as it constitutes the global. Research is underway for a third monograph, The Unhomely Sense: Spectral Cinemas of Globalization that tracks the relations between globalization and cinematic/post-cinematic images.